Brian Lawler, son of Jerry “The King” Lawler was arrested last evening at a Memphis, TN Hampton Inn. Brian Lawler was charged with Theft Of Services for inability to pay the over $800 room charge that he and Terry Teague ran up during their stay. 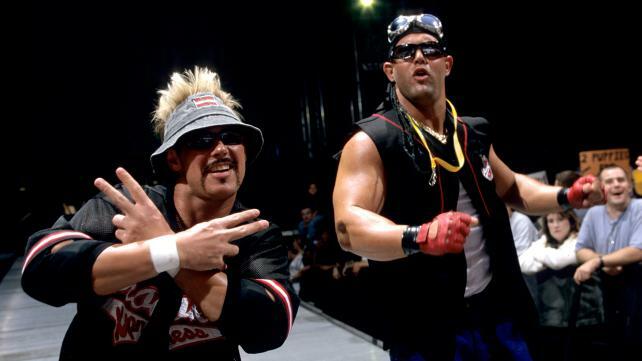 Lawler worked for the WWE as Grandmaster Sexay as one-half of the tag team Too Cool with Scotty 2 Hotty. Terry Teague was also arrested on the same charge as Brian Lawler. He had checked in the hotel with a company credit card, however, when Hampton Inn went to charge the card, there were insufficient funds to pay the bill. As neither Brian or Terry had the funds to cover the cost of the bill, they were both arrested and charged with Theft of Services, $1000 or less.